There are over 700 species of Eucalyptus, most of which are native to Australia, with a few in New Guinea and Indonesia. 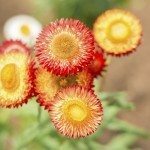 As such, the plants are suited for warmer regions of the globe and eucalyptus cold damage in trees grown in cooler zones is a common problem. Some varieties are more cold hardy than others, and eucalyptus cold protection can help the plants sustain less damage. Even if you choose a hardy specimen and protect it, however, you should still know how to fix cold damaged eucalyptus since weather can be surprising. 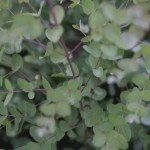 Winter damage in eucalyptus can be mild or severe and needs to be triaged before treatment. The scent of the volatile oils in eucalyptus is unmistakable. These tropical to semi-tropical trees and shrubs are not used to freezing temperatures, which can cause considerable damage. The plants are adapted to moderate climates with little temperature fluctuation. Even endemic plants that grow where it snows are protected from huge spikes in temperature and hibernate under the snow until the growing season. Plants that experience big jumps or lows in temperature can be threatened with winter damage in eucalyptus. This occurs in regions like the eastern to central United States. Often, cold damage isn’t recognizable until the thaw arrives. 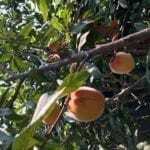 At this time you may begin to see blackened twigs and stems, rotten spots, broken plant material from heavy snow, and entire areas of the tree that are not leafing out. This indicates moderate to severe cold damage. In mature trees, the worst you may see will be a loss of leaves after a cold snap, but sustained cold followed by mild weather will cause dead stems and possible rot. Young plants have the worst time with cold periods, as they have not established a strong enough root zone and bark and stems are still tender. It is possible that the entire plant will be lost if the cold snap was long and cold enough. 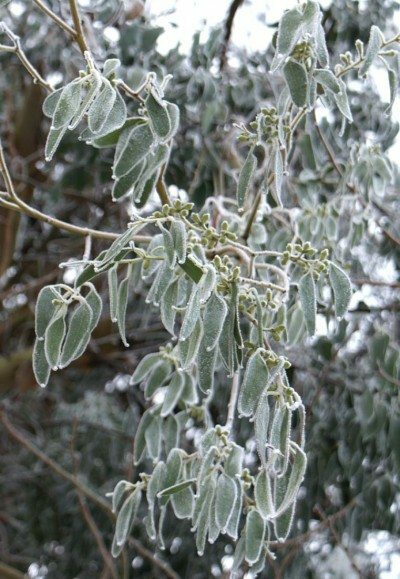 There are several factors that affect eucalyptus cold hardiness. 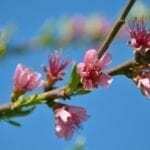 First is the species cold hardiness as designated by the USDA or Sunset zones. The second is the seed provenance or where the seed was collected. Seed collected at higher elevations will pass on the trait of greater cold hardiness than those collected at lower zones. The type of freeze can indicate the hardiness as well. 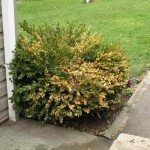 Plants that experience freezes with no snow cover and brisk winds desiccate and have root zone damage. Plants where heavy snow makes a blanket over the root zone and have minimal wind will have a greater chance of survival. Location, location, location. The site for the plant can help provide shelter for the plant and increase survival and vigor. So can eucalyptus survive cold? As you can see, this is a complex question and needs to be looked at from many sides and factors. Wait until spring and then cut off any damage or dead material. Double check to make sure the stems are dead with a “scratch test,” where you make a small wound or scratch in the bark to check for life underneath. Avoid radical pruning of eucalyptus, but once dead and broken material are removed, fertilize the plant and give it plenty of water over the growing season. In most cases, it will survive but you should think about eucalyptus cold protection for the next season. If you haven’t already sited the plant in a sheltered area, you may want to think about moving it. Place the plant in a lea, the least windy side of a building and away from scorching winter sun. Place mulch thickly around the root zone with organic material, such as bark or straw. In areas with minimal wind, site the plant with an eastward exposure where daylight will warm the plant up after a freeze. 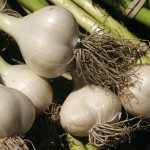 Build a cold proof structure over the plant. Erect a scaffold and use a blanket, plastic or other cover to insulate the plant. You can even run Christmas lights under the cover to increase the ambient temperature and provide eucalyptus cold protection.